Healthy Vegetarian Snack in Convenient Re-Usable Packaging . 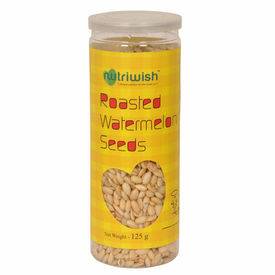 Watermelon Seeds are an excellent source of magnesium and potassium. Watermelon Seeds are known to improve concentration and memory.Watermelon Seeds are an excellent source of omega fatty acids and contain choline which helps in anti-inflammation.